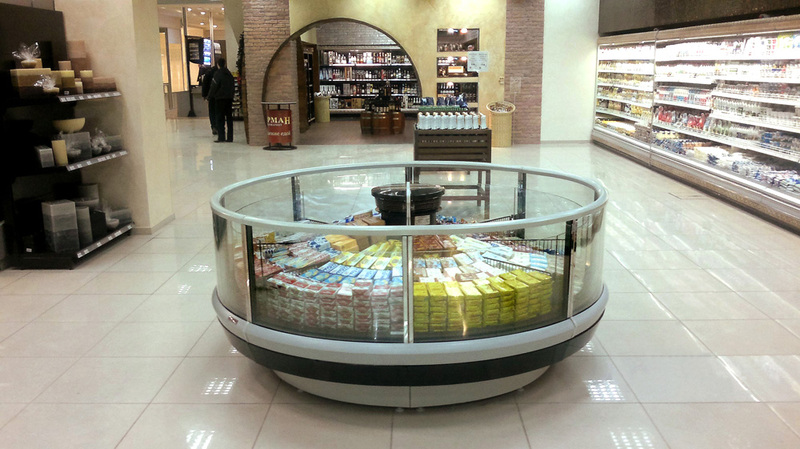 The company KS-RUS announces a new version of refrigerated counter Malahit. This is a versatile display case that you can employ both in a Closed mode, to sale the goods 'over the counter' , and in an Open 'self-service' mode. Being our own development, the unique hardware with double glass allows the display case to be a transformer. The upper part of the glass can be pushed inside the counter, changing its format of employment and providing easy rotation of goods if so needed.